Forty-eight-year-old Devashekhar cultivates paddy twice a year. A resident of Guntur district in Andhra Pradesh, India, Devashekar purchases between 300 and 350 kg of fertiliser from retailers in his village. 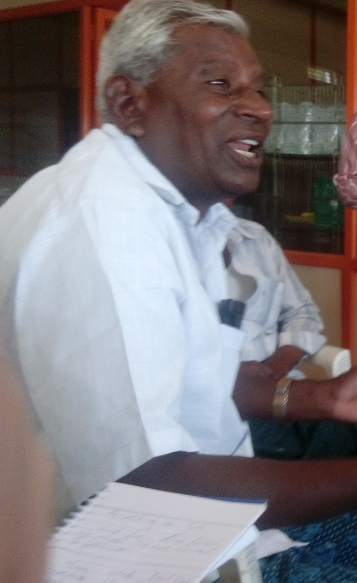 He is among many farmers who have now started to pay market price for fertiliser. “There has been a reduction in overcharging by retailers as we now pay market price. 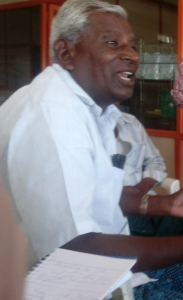 We also get a transaction receipt that indicates the selling price of fertiliser,” he says. Devashekhar remembers paying more than the maximum retail price (MRP) written on the bags of fertiliser before the introduction of the direct benefit transfer (DBT) system in fertiliser1. The journey, however, has not been easy, he recalls. 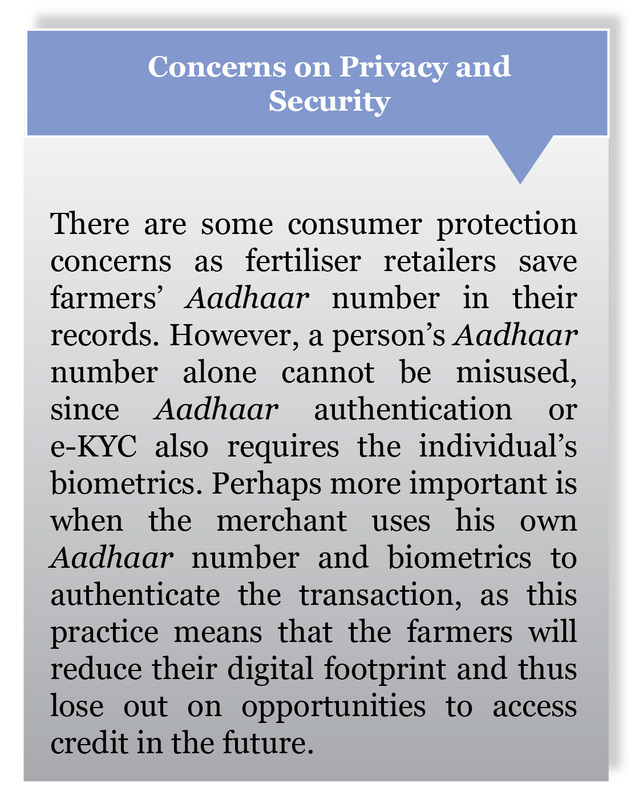 “During the last Kharif2 season, when I went to buy fertiliser, the retailer refused to sell, citing Aadhaar-based biometric authentication as a mandatory requirement for purchase. I had to go home and return the next day with my Aadhaar number (card). Yet I was unable to purchase fertiliser the following day as well because of a long queue of farmers, whose biometric authentication was taking time due to multiple attempts for authentication. I was finally able to purchase fertiliser on the third day, that too after multiple biometric authentication attempts and waiting in queue for half the day”. Prior to the introduction of DBT, Devashekhar could ask his friends or family members to purchase fertiliser on his behalf but the new system doesn’t provide for this. This adds to his inconvenience but now he understands the purpose behind this step. “The government now records details of every buyer, so diversion and overcharging will certainly reduce,” he adds. It took Devashekhar about eight months to understand and get used to the new system as there was no communication about the programme. Although issues, such as biometric mismatch, authentication failure, and internet connectivity have reduced over time, farmers like Devashekhar end up spending relatively more time than before while buying fertiliser. They also worry about the performance of the system and the on-time availability of fertiliser, especially during the peak Kharif season. With time, retailers have also become better at operating the new system. 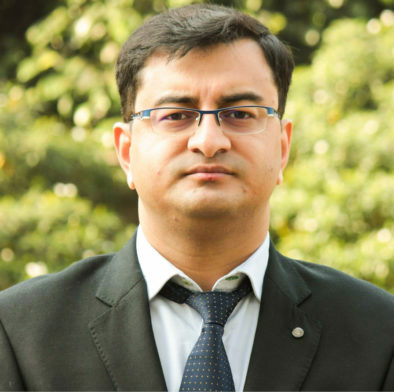 Some have even adopted new practices to reduce the time taken to complete transactions. 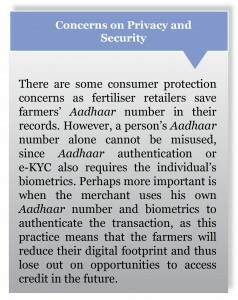 Some retailers end up saving the Aadhaar number in the respective farmers’ mobile phones and also note it in their registers so that the farmers can come to purchase fertiliser directly from the fields without their Aadhaar card and simply authenticate with their biometrics. Some retailers also keep a record of the ‘best finger’ for authentication purposes to improve their chances of successful authentication in the first attempt. This improves the efficiency of the process but raises questions about privacy and security. Need for Effective Communication: A strong communication campaign in vernacular, using a mix of Above The Line (ATL) and Below The Line (BTL) communication methods has to be designed to make farmers aware of the objectives and changes. Assessment of the six pilot districts revealed that a majority of the farmers received the information about Aadhaar authentication requirements for purchasing fertiliser only after arriving at the retailer outlet. This leads either to the retailer refusing to sell them fertiliser or to transactions being ‘adjusted’ by the retailers (see box). Moreover, poor communication to farmers allows retailers to continue to overcharge with impunity and leads to the mistaken belief among farmers that the government will somehow transfer the subsidy amount indicated in the (English language) receipt directly into the farmers’ bank accounts rather than to the manufacturer for the fertiliser purchased. 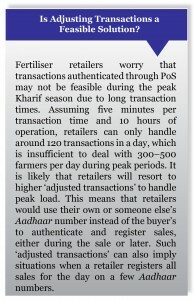 ‘Plan B’ for Fertiliser Sales During Peak Season: An ‘early check out’ system to pre-authenticate farmers at designated Points of Authentication (PoA) before they purchase fertiliser can tackle the peak-time transaction load. This would reduce transaction time at the retailer shops. Existing village infrastructures such as Common Service Centres (CSC), Post Offices, Bank Mitrs (BMs), Fair Price Shops (FPS) etc. 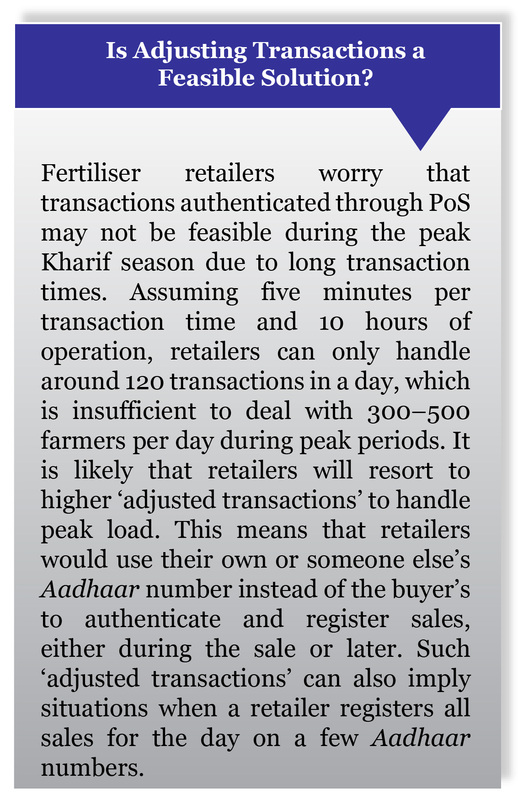 can be designated as PoAs, where farmers can pre-authenticate the transaction using Aadhaar and book the fertiliser, thus reducing the transaction time on the final purchase day. 1. A toll-free number, which should be well-advertised and communicated to users. 2. The complainant should receive a complaint ID once the grievance is registered. 3. The complainant should be able to track the resolution status through the complaint ID. 4. The government should decide the Turnaround Time (TAT) for grievance resolution. 5. 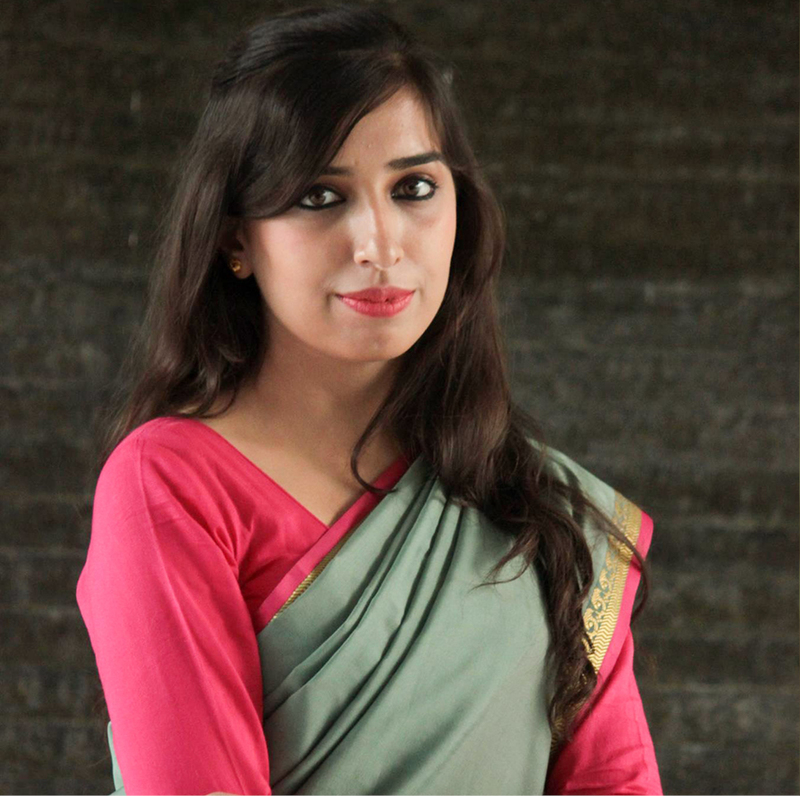 The mechanism should also provide for an escalation/responsibility matrix, which automatically escalates the grievance to the next level in the matrix if it is not resolved within the pre-defined TAT at a particular level. The need to devise and test solutions for these challenges in the subsidy distribution system before it is scaled-up is essential, as about INR 70,000 crore (USD 11 billion) is budgeted for fertiliser subsidy in the financial year 2017-18. Only time will tell if the government will continue transferring fertiliser subsidies directly to producers or these are interim steps towards complete DBT i.e. direct subsidy transfer to farmer’s bank account. 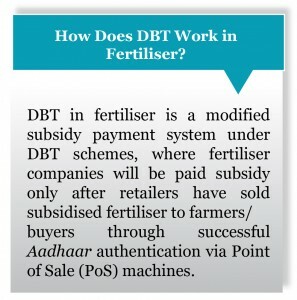 1DBT in fertiliser is a modified subsidy payment system, where fertiliser companies are paid subsidy only after retailers sell the fertiliser to farmers/buyers through successful Aadhaar authentication via Point of Sale (PoS) machines. 2Kharif crops are cultivated and harvested during the rainy season, which lasts from April to October, depending on the area. 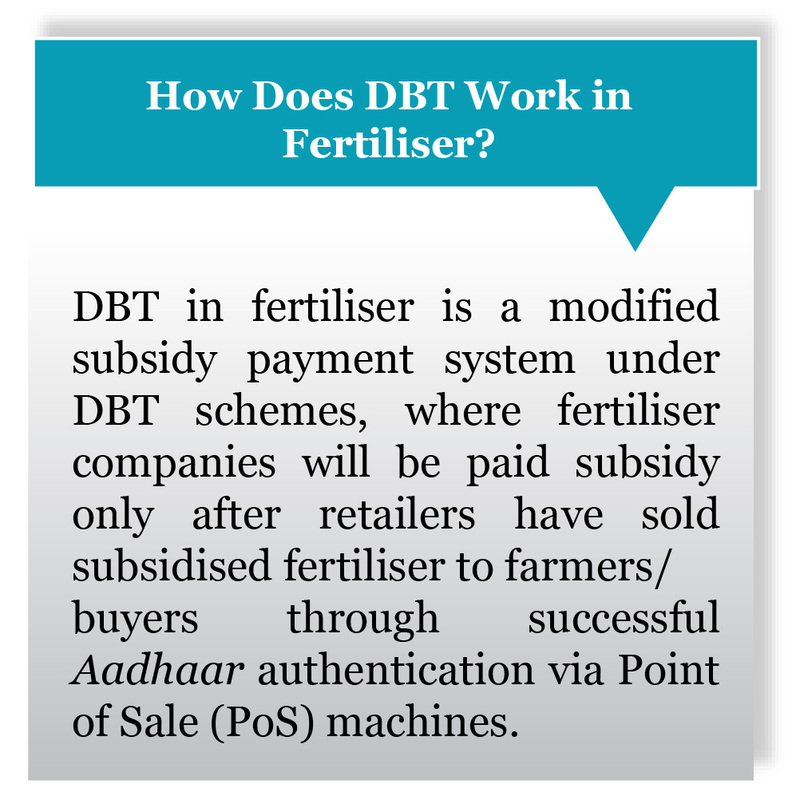 3At the time of research, DBT live districts were those six districts where the government paid subsidy payment to fertiliser companies on actual sales realised through PoS machines. The other 10 districts were dry-run districts, where subsidy payment to fertiliser companies was yet not linked to actual sales via PoS. 4On request from National Institute for Transforming India (NITI) Aayog, MicroSave conducted a dipstick evaluation in six districts in Andhra Pradesh (Rangareddy, Pali, Una, Hoshangabad, Krishna, and West Godavari), where DBT pilot was running live.